By car, follow the road through Val Varaita until reaching Casteldelfino. I came to live in Casteldelfino in 1995 and I continued my husband’s farming activity, that in 1999 became also lodging activity. The true story is that my husband didn’t want to live on the plain region and therefore I had to move up on the mountains, where I fell in love with these landscapes and eventually decided to spend my life here. In our farm there are 9 rooms located in a recently renovated traditional house, which historically served as a water mill for cereals, a wood sawmill, and a laboratory where the “drap” and the hemp textile were produced. 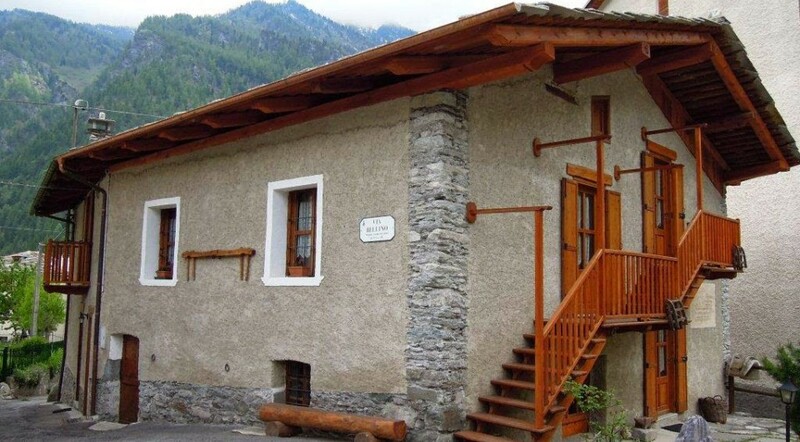 There is also a restaurant located in a building in front of the guest house, which served as a forge and later was a small hydroelectric plant that provided electricity to the village. Nowadays we do biological cultures of vegetables, potatoes, strawberries, raspberries, apples, herbs and other products that we use for cooking. We welcome anybody who would like to meet us and discover the treasures of “Chastlado” of which Casteldelfino was the county seat. Until the Utrecht treaty year, in 1713, the territories of three villages in AltaValVaraita region belonged to a state confederation called “Escartoun” ruled by the France Dauphin and they benefited of wide freedom stated by the “charte des libertés” (Freedom Chart) still preserved in the municipal hall of Briançon. In the beautiful town centre of Casteldelfino there are relics of the ancient French dominion: heraldry symbols carved on the fountains and sundials with French writings. Our farm’s position is strategic for a panoramic view over Alta Val Varaita, being between the valleys of Bellino and Pontechianale and at the foot of the Alevé Wood the widest Swiss stone pine tree forest in Europe, which is also included in the protected area of Monviso natural Park; it’s also not far from the border with France and Queyras region. All visitors are welcome at our house: couples, families, in particular trekkers that need a baggage pick up service for short sections, that have to take linking itineraries to the other valleys and for those who travel by bike and need a garage and a shelter to give little maintenance to bikes and mountain bikes. We wait for you.